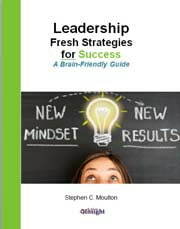 In a recent study, conducted over a period of 5 years, the findings challenged the conventional view that leaders who “drive for results at all costs” are most successful … woops no they are not. To some it is surprising that the executives most likely to deliver good bottom-line results are actually self-aware leaders who are especially good at working with individuals and teams. The research found that an executive with strong interpersonal skills will drive more positive business results, while “arrogant, hard-driving, impatient and stubborn” leaders rated low on all performance dimensions of the study. The research also reinforced the belief that an executive’s experiences and leadership style are directly linked to performance. Are you hiring leaders with the right competencies? 1. Establish a clear set of 6-8 Soft Skill Behavioral Competencies for a leadership position. 2. Have two behavioral interview questions for each Competency. 3. Remember self-awareness is the prerequisite for critical leadership behaviors such as earning buy-in, communicating key concepts, and building high-performing teams. If you know someone who wants to make improvement on selecting great leaders, I can help.